This is my half of an art trade with CrazySparkles06! My interpretation of Mufassa and Scars parents Uru and Ahadi. I'm umming and ahhing about this, cause... well its not quite right is it? But I hope you like it CrazySparkles06! I studied a whole bunch of Sarabi, Muffasa and Scar pics to draw this, and tried to use my own imagination! lol! I agree! I can see the resemblance!! Wonderful job! 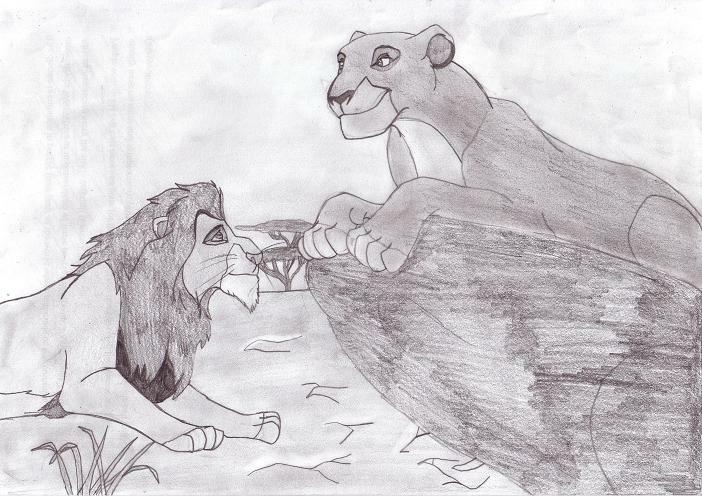 You are great at Lion King art! I see a family resemblence there! Great job. whoa.............that is so cool! That's totally their parents! Great job!